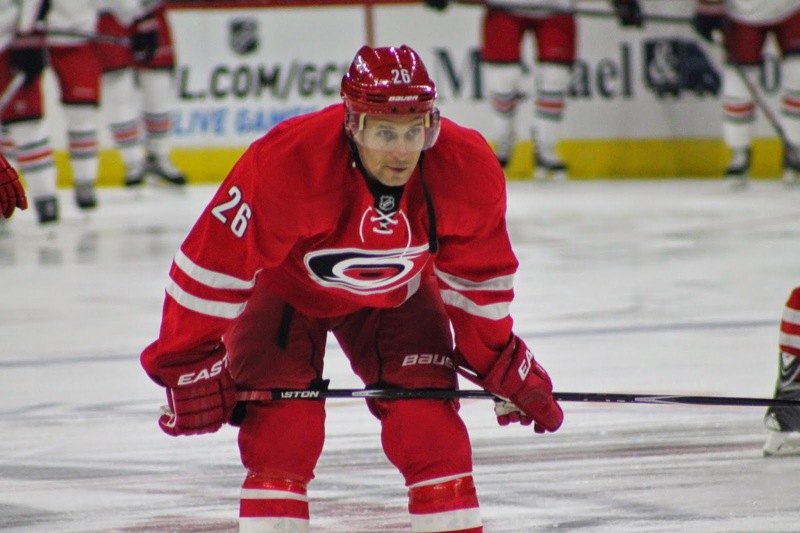 Nashville the top team in ESPN’s power rankings, #1 in their division, and riding a 4 game win streak came into PNC Arena Tuesday night with a lot of momentum. The Hurricanes coming off a loss Saturday against Pittsburgh was ready to play and look well rested after a day off Sunday and a strong practice Monday. Nashville came out strong testing Cam Ward early but Carolina matched their intensity and kept the offensive fore-checking going strong. Cam Ward saved 28 of 29 shots faced and had a save percentage of .970; even thought Cam’s overall record doesn’t reflect the type of performance he is putting on the ice, fans can really see the improvement for last season and the confidence he has gained under new goalie coach David Marcoux. Hurricanes got on the board late in the 1st period on a goal from Jeff Skinner who has 5 goals and 5 assists in his career against Nashville. 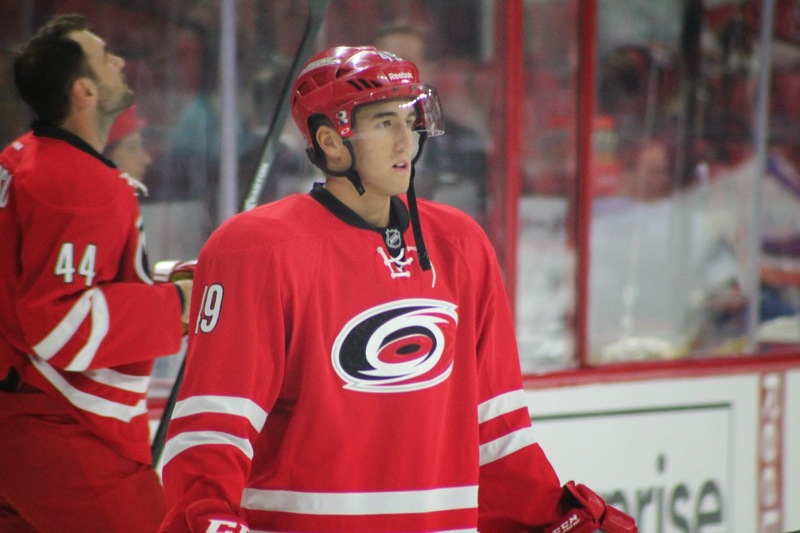 The Hurricanes got another goal to add to the lead from Victor Rask and held that lead till Mike Ribeiro got a goal in the middle of the 3rd period. That was all the Predators could get past Ward; what didn’t help Nashville was the 2 penalty they received half-way through the third period. Even though the Hurricanes did not score on those PowerPlays it took the momentum away from Nashville. Hurricanes ended Nashville’s win streak and also ended their own losing streak! A win over one of the top teams in the West had to be a great confidence booster for the team and for Elias Lindholm who celebrated his 20th birthday. This was also a family affair for Elias Lindholm; his cousin Calle Jarnkrok is a recent call up for the Predators.